It feels like this headline is a rehash from over half of a decade ago. It is very reminiscent of a story one would have read about New Orleans in the days of Hurricane Katrina. But this is not a story about Hurricane Katrina. This is as new as news gets. The waters in the Mississippi River have been rising in recent days. The Americans living near the waters in Louisiana have been in a panic to protect their homes and in some cases to escape the potential danger. The United States Army Corps of Engineers have been opening gates to the Morganza spillway to alleviate the danger. The overall hope is to get spillway gates opened to around thirty of the 125 bays so that major cities like Baton Rouge and New Orleans would not be in danger. However, water is still hitting and damaging smaller towns and farmland areas near the river. According to experts on the scene, including Col. Ed Fleming of the United States Army, the spillway gates are likely to be open for a few weeks at least. It would take about the same amount of time for the water levels in the river to dissipate and return back to safe levels for local citizens to come back to their homes without fear of further flooding. 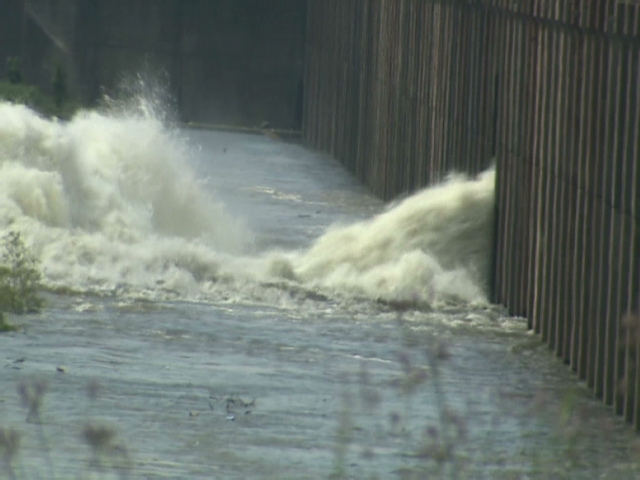 Fleming did make it clear that while the cities of Louisiana are going to be safe from flooding because of the opening of the spillway gates, the central area of the state is not going to be able to be protected from getting flooded. The flooding of the Mississippi River has already caused an approximate three million square acres of farmland to be flooded. The result is a major blow to farmers and the American agriculture industry. This year was expected to be a very successful year for cotton, corn, rice, and wheat for farmers in the Midwest and the South. Parts of the state of Louisiana are preparing to fight off waters while other sectors are not even worrying about fighting the waters and are instead electing to leave the area completely to make safety a certainty. The events of the last few weeks come as a shock as they are just too similar to the days of Hurricane Katrina. Innocent people are being hurt by the innocent acts of nature. The flooding of Louisiana is nothing new, but it is not the kind of problem you can learn to handle. As a resident of the south eastern region of Louisiana that would have been under threat of flooding, but is now safer because of the opening of the Morganza, I wish to thank all of those who are suffering for our protection. I am making a donation to the Red Cross as a gesture of my appreciation.